Is there anything that would make this mezuza passul? This mezuzah is AT BEST only Kosher bedieved, - missing most crowns and many bedieved letters. 1) spacing (the upper space between the words asher and anochi is the same (or even smaller) as the upper spacing between the nun ans tav of the word veshinantom. This can be fixed ). 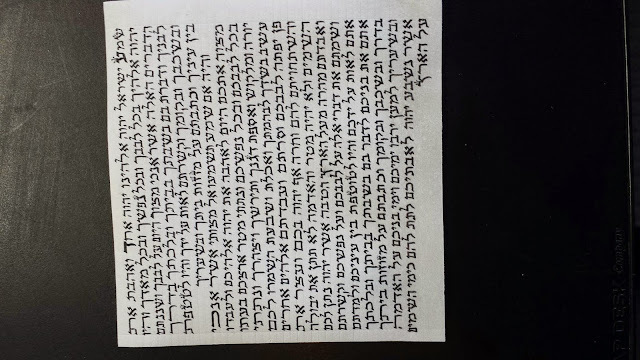 2) Some of the yudin do not have the kotz elyon. This is fixable. 3) The samachs (pointy on bottom) are problematic acc to many Ashkenazi poskim. Is this mezuzah for a Sfardi or Ashkenazi? 4) The nun pshutah on the rosh does not extend over to the right side. Again, highly problematic as is, but fixable. I cannot tell from the photo but if it is klaf mashuach it may crack easily, perhaps even as soon as you roll it. In conclusion: Do not use this mezuzah unless there is no other choice, and only after fixing the above. The nun from Anochi is a shailos tinuk (ignore the wide chof next to it). If it is sephardi, there is no need for tagin, it would be kosher l'chatchila without them. The K'tav technically could be kosher l'chatchila if the person claimed the right traditions. 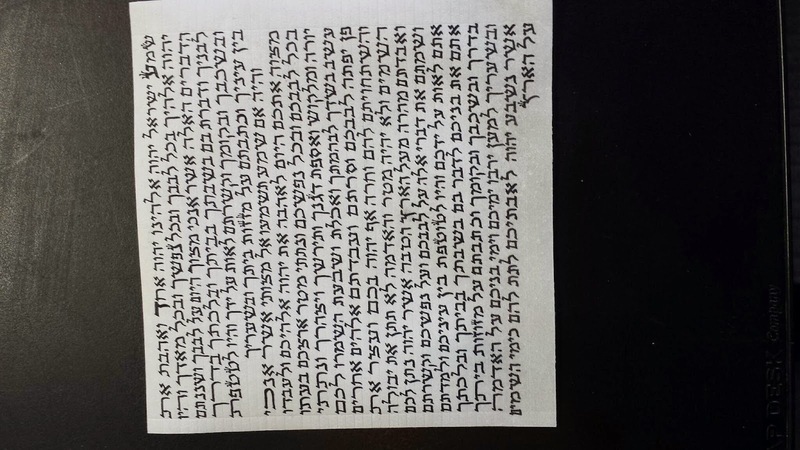 However, by sephardi halakha it would be posul because it relies on the shita of the Taz for patucha and stuma.